As President and Chief Executive Officer of Midwest Energy Emissions Corp. Mr. Richard MacPherson is responsible for day-to-day operations of the company. 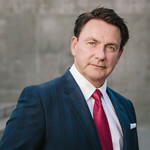 Mr. MacPherson is the Founder of the Company, and successfully led the early development and commercialization of the firm’s technologies, dating back to 2008. Together with the Energy & Environmental Research Center (EERC), and their world-class research and development teams, Mr. Macpherson was able to successfully launch and continually grow the Midwest program into the successful business operation throughout Canada and the United States that it is today. One of his main strengths was bringing together the best group of professionals in the industry to meet the tasks and challenges of developing a multi-million dollar enterprise from the ground up. MacPherson has spent over 25 years at the senior levels of management in many industries across Canada and the U.S. including communications, industrial production and internet marketing firms, prior to starting Midwest Energy Emissions Corp. During that time he was successful in building and creating continuous growth in enterprise value through results at every post.